Need to get out of the house in the winter and reenergize the soul? 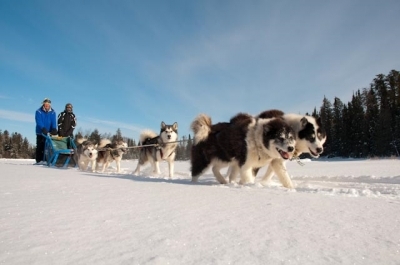 Dog sledding in Minnesota is a great way to get the whole family involved. Kids and adults really enjoy dog sledding tours. Explore and let the experts in dog sledding guide you around the majestic forests, scenic lakes and vast stretches of pure white snow. At Chilly Dogs in Ely, MN they have many adventures you can choose from so plan a family trip to northern Minnesota and try a unique sledding experience. Be sure to pack the wool socks, chap stick and face mask ...it can get downright cold if you don’t prepare your family for a winter in Minnesota. There is also Wintergreen Lodge in Ely that provide excellent dogsledding tours right from the lodge. National Geographic says you’ll “Mush with the Best”.